This sandwich recipe was sparked from wanting a sandwich but with a crispier crust. So I added Ritz crackers with Panko breadcrumbs and came up with this Crispy “Ritz” Fried Fish Sandwich masterpiece. For the buns I went pretzel-style. 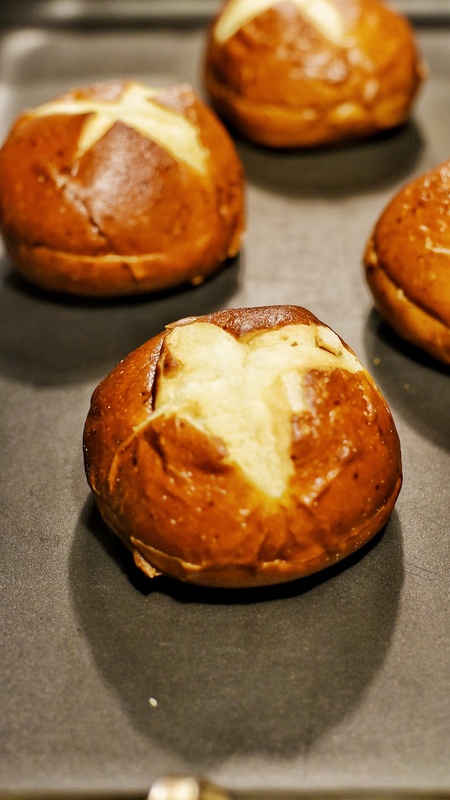 Pretzel buns are doughy, chewy, and soft and taste just like those over-sized pretzels you get when you go to the carnival or an amusement park. They are perfect for any type of sandwich. A quick toasting in the oven and they are ready to go. Once you coat the fish and shake off the excess, the fish can be fried the perfect golden brown. 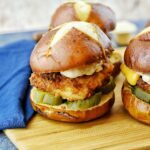 I love the buttery and rich flavors from the Ritz cracker and adding that crust to a white fish gives this fish sandwich an upgrade. I prefer to make my own tarter sauce and after you start making your own at home, you’ll never go back to the store bought kind. 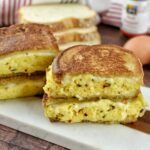 A few simple ingredients (mayo, dill relish, lemon juice, black pepper, paprika, Creole seasoning and garlic powder) become the creamy layer this sandwich will need. Homemade tarter sauce is the icing on the cake! If you’re looking for a not-so-fast food fish sandwich this Crispy Fried Fish Sandwich will be there waiting for your taste buds. Begin by cutting the cod into 4 pieces and season fish with sea salt, black pepper and Creole seasoning. Add Ritz crackers into a small zip lock bag and crush into crumbs. Place crushed Ritz crackers and panko breadcrumbs into a bowl. Add egg and heavy whipping cream into a separate bowl and whisk together. Pre-heat cooking pan to medium heat and add oil to cover the bottom of the pan. Dip the fish into the egg mixture then place in the breadcrumb bowl and coat the fish completely. Cook the fish for 3 to 4 minutes on each side depending on the thickness of the fish. 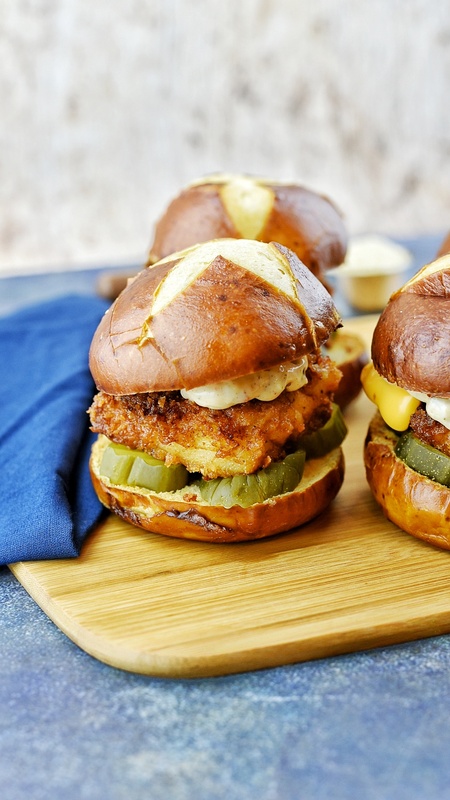 Once done, allow to cool then serve between pretzel buns and add sliced cheese and pickles (optional). In a bowl, add miracle whip mayo, dill relish, lemon juice, black pepper, paprika, Creole seasoning and garlic powder then mix until blended well. I love the idea of combining panko and ritz crackers! these look amazing! Thank you Melinda! I was eating Ritz one day and thought it would be a good combination for a crispy crust and it worked out great. Thanks again!